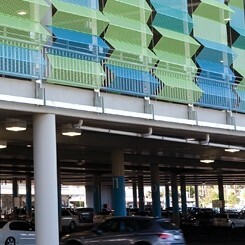 Park Beach Plaza boast three levels of undercover parking with easy access to the centre. A member of our friendly customer information team can be contacted on (02) 6652 4366 if you require further information. Extra wide parking for those visitors with small children in prams. Located close to the Ritchies IGA Entrance off Arthur Street. There is a conveniently located NRMA meeting point at Park Beach Plaza. Phone NRMA on 13 11 11 and meet outside Australia Post on the Pacific Highway side of the centre.